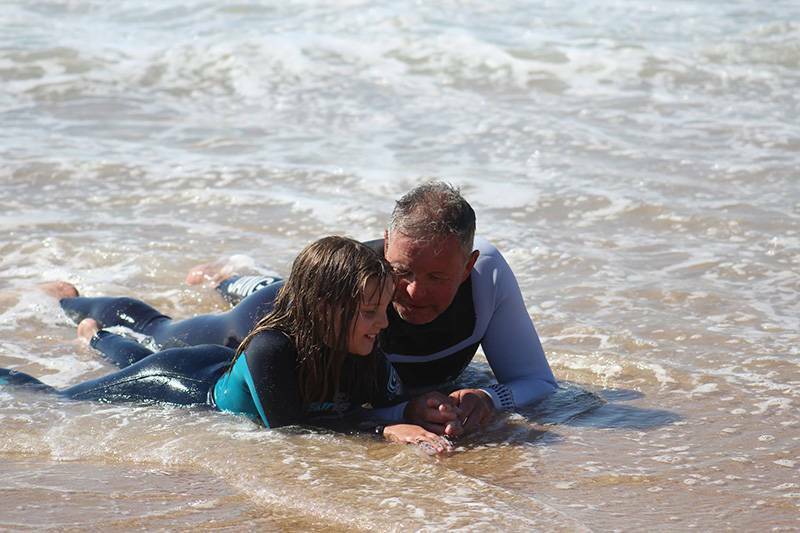 It was only in the last years that I got to know Phil, but I am so grateful to have shared so many good times with him on bodyboarding trips to Ireland, Morocco and Portugal. On these trips we laughed as much as we surfed and formed a short but lasting friendship. As in the aforementioned quote, Phil’s performance on this planet was devoid of all egoism, for a man so accomplished at so much, his modesty was second to none. Only after a few beers and a series of probing questions would he give you a humble insight into his past. In his youth he played for Crystal Palace. In his thirties, while working in California, he became a capable climber taking on the notorious routes in Yosemite. Later, he not only finished half a dozen Ironman events but excelled in them. He was also a record holding time trial cyclist, and it was during this time that he suffered a horrific cycling accident that he’d retell with the same humility as he would his achievements. More recently, living by the sea in Worthing saw him become a keen kite surfer and avid bodyboarder. A natural sportsman, he not only did more than most could wish to do in a lifetime but he shone at all. And like Giono’s words, Phil’s generosity was unparalleled and never with a thought of recompense. On a chilly trip to Ireland, when I had forgotten my wetsuit, he selflessly lent me his spare wetsuit that he’d packed specifically to avoid putting on a cold sandy suit in the afternoons. Then, in Portugal when I was having some personal woes, Phil was both respectful to not ask questions yet sensitive enough to keep the mood high and insisted on taking me out with his family every evening …thank you Phil! In terms of a visible mark on the earth, this will be subjective to all those who met him, but he was an inspiration in many ways. As someone who always waits for others to try things first I was often impressed by his attitude to throw himself into anything and live for the moment. 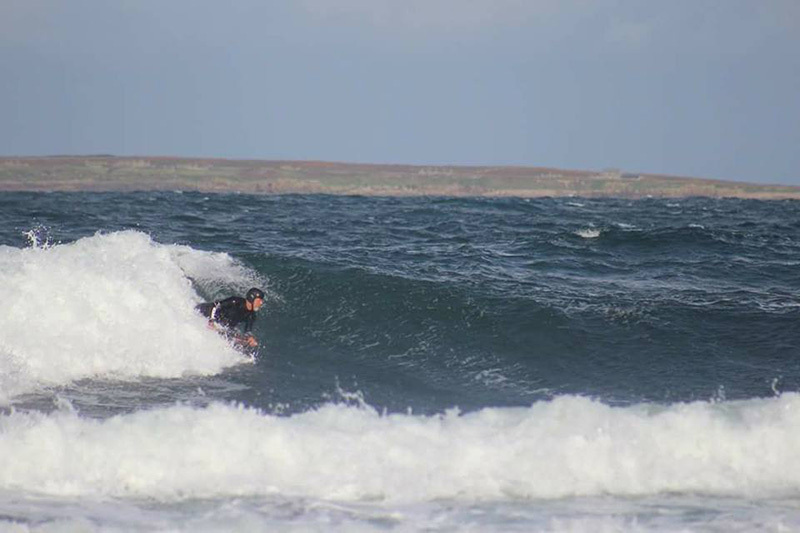 Back in Ireland, where the group and the waves were of a high level, he got stuck in regardless and held his own. While here in Portugal, he took on a day’s downhill mountain biking with the same vigour, with a local named Ralph who is renowned as madman on the extreme trails. Phil was also a big kid at heart, and I admired this a lot. He always sought a laugh, had an air of loveable cheekiness and had a range of boy’s toys that resembled an action sports superstore. I recall dropping him and his family at the airport and saying “see you in Ireland” (the next bodyboard holiday he’d booked), but unbeknown to me he hadn’t told his wife. He just looked at her and I with that innocent boyish grin and with a nervous chuckle got away with it. Finally, I was always moved by the love he had for his family. On a number of occasions, he told me how lucky he felt to have met Karen his wife and that every day with her and their children was a gift. I recall thinking that one day I hope I could say the same about my future family. He was a model father who was very proud of all of his kids. Phil sadly left us on the 1st of July 2018 as the result of a motor cycle accident. He leaves behind a beautiful family; his wife Karen, daughters Abbie, Amy and Jenny and step children Beth and Joel, who he took under his wing like his own. There can be no mistake mate, you were a human of truly exceptional qualities who will be sorely missed by all! A very fitting tribute to a special guy ,I’ve worked with him for the last 18 months and went on a body boarding trip with him at the end of May, needless to say we had a blast, He loved his family and life in general .Always quick to break a smile , i’ll miss him.